2.2 ENGINE REMOVAL - TO OR NOT TO? 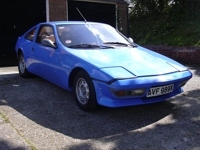 MatraSport Forum > Each model > Murena > 2.2 ENGINE REMOVAL - TO OR NOT TO? My Murena blew its head gasket in January. Luckily it was not from overheating, I am thinking the head gasket was replaced before and the head not re-torqued after 1,000km or so. I started stripping the car in January to get the head off and checked, and got as far as loosening off the water pump. I can't get it out due to lack of space. To clarify, the timing chain tensioner is not releasing so I have to take the cover off, which is why I was going this route. I eventually got side tracked and frustrated and left the car as-is until now. I am going to tackle it tomorrow and am now wondering whether I should carry on as I have been, trying to remove the head in situ or bite the bullet and drop the whole engine / gearbox assembly and do more work than I originally planned. In going the latter route, are there any tricks I should know before tackling this? Drive shaft / CV removal etc? I look forward to your input, advice and tips. Re: 2.2 ENGINE REMOVAL - TO OR NOT TO? I have with a litte (actually a lot) of help and advice from Roy Gillard had my engine, gearbox, drvetrain out and back in the car in the last twelve months. Initially for a new cam and refyurb the trailing arms. I removed the head "in situ" and forgot to place a cover over the wall and lid to the trunk, which resulted in coolant staining it. Not a big loss since the fabric was already torn and needed a replacement. In my post I describe the problems with the timing chain tensioner. On mine there was no spring feel when pushing in the screw to pull back the tensioner. It turned out that a previous owner had let the tensioner pop out and I later pulled the spring out from the oil pan using a magnet on a flexible handle. I also describe how it is (barely) possible to reinstall the tensioner and spring with the engine in place. It is NOT easy. However, I do not think it will give you enough room to take off the timing chain cover and reassemble the tensioner. So if that proves to be necessary the engine must come out. To do that I know Jesper build a wooden support that fit around the oil pan, supported by a jack, lowered the engine as much as it could and then lifted the rear of to car until the engine could pass out the back. I probably should have done that, but since I did the work in a parking lot i did not have the room, or cover to make it practical. The tensioner may not have popped out completely. Try turning the camshaft clockwise to tighten the chain against it and pull it back, then try retracting it again. A long shot, but worth a try. Thanks for the advice and links, guys. I will try getting more tension on the chain first, if not, will follow the procedure to get the waterpump, timing chain cover and head off in the car. Then I may assess pulling everything out anyway. I'll update you on my progress later today. OK, so it looks like the engine will need to come out. The end of the tensioner has come out and is lying loose up against the chain. That will explain the timing rattle before the gasket blew. If the end of the chain tensioner was already out and could be seen lying loose, then the spring has probably come out too, and dropped into the sump. It could even be damaged. So you will definitely be better removing the whole power unit, and then rebuilding it properly to cure all the oil leaks and all the other faults. The water pump is fairly easy to remove and change, but you have to lower the gearbox end of the power train, so that the timing case end moves away from the inner wing and gives you the room to work. However, now you will be removing the whole unit, please consider the cooling system improvements I advocate, which you can do whilst everything is easier to get at. So, today was the day. After lots of procrastination I decided to tackle the engine removal today. By the end of the day I had the unit out, the engine separated from the gearbox and the head off. The engine looks to have had a refresh in the not so distant past and everything looks pretty good. I can't find any signs of why the cylinder head blew but will have it pressure tested for cracks nevertheless. I'm starting to think that the head was not re-torqued after the last engine refresh and between that and the 20W60 oil that I used, caused the problem. There was no overheating involved at all. Lastly, the timing chain tensioner was lying loose up against the timing chain. The spring is nowhere to be seen and is probably lying in the sump somewhere. Lets hope it is still in one piece. After fixing the timing chain tensioner I looked for the original spring in the oil sump while changing oil. Using a magnet on a flexible rod through the drain hole, I poked around in the sump and, lo and behold, out came the spring. I took the sump off today and found the spring lying in the oil at the bottom. It doesn't look damaged so I refitted it to the rensioner mechanism and it all seems fine. I also came across an error with the head assembly. It looks like a new Holbay cam was fitted and the rockers were not replaced properly. 3 of the 4 rockers with the lubrication ports are on the inlet side of the head. All in all, the engine is very good, just not put together properly. It's had new pistons and rings fitted, along with bearings. The head was refurbished with a new camshaft etc. Once it is put back together properly, it should be a very good engine! At least that is good news and makes this whole process worthwhile.